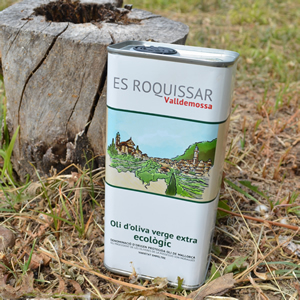 Oli Es Roquissar, extra virgin Olive oil D.O. 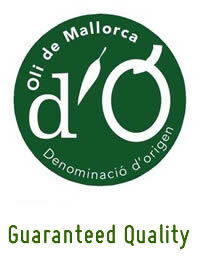 About 60 hectares of olive groves in organic farming, with 100 or even 1000 years old trees, located in Serra de Tramuntana; Son Moragues, Sa Torre and Roquissar, produce and handpick controlled olives. 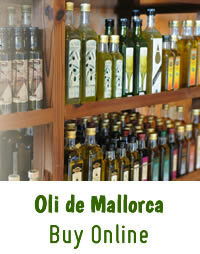 Only the Mallorquina type is processed, with its own special sensory properties. The extracted oil is soft and sweet, with hints of almonds and ripe apples.